While EXO did not take home the Best Worldwide Act award at this year’s MTV EMAs (congratulations to female pop singer Chris Lee from China for winning), they succeeded in gaining first place on the MTV EMA Social Buzz, beating very strong competition. Fans of the nominated artists competing continuously tweeted with the hashtag #EMAzing followed by their favourite artist’s name as many times as they could in order to see who got the most mentions that evening to become the eventual winner. 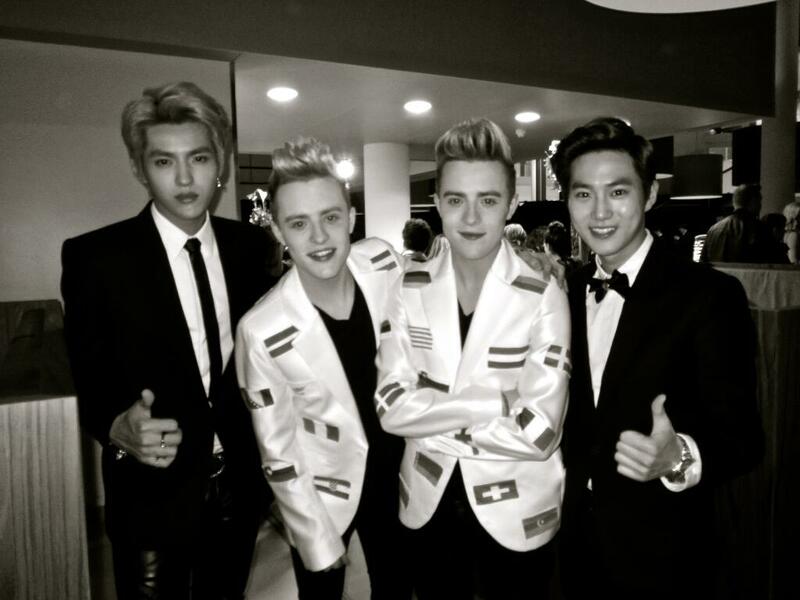 During the event, Kris and Suho also happened to meet two very familiar faces that some readers may remember from the sixth series of The X Factor UK – John and Edward Grimes aka Jedward. 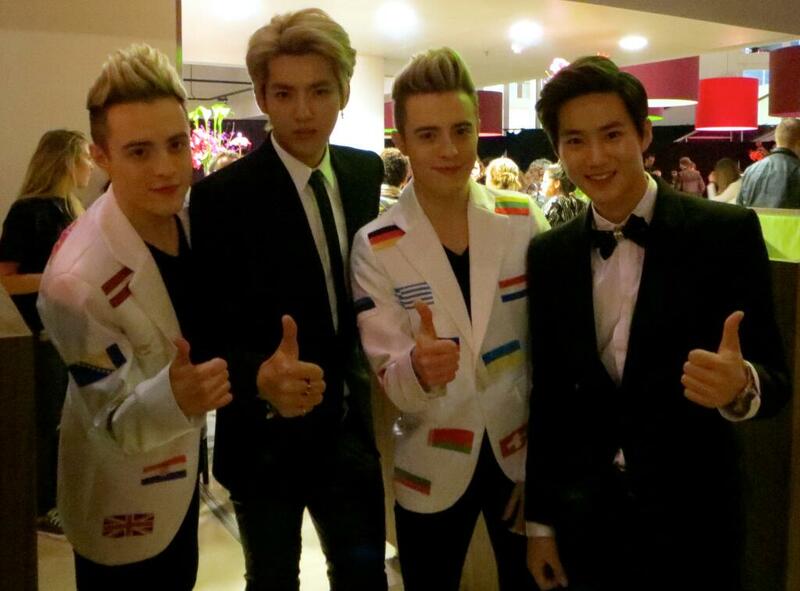 EXO Kris and Suho and Jedward AWHOOO! @PlanetJedward Great Talking About Music!